Defined under de Mexican Constitution, the "restricted" zone is the band 100 kilometers deep from any Mexican border, and 50 kilometers from any coastline. 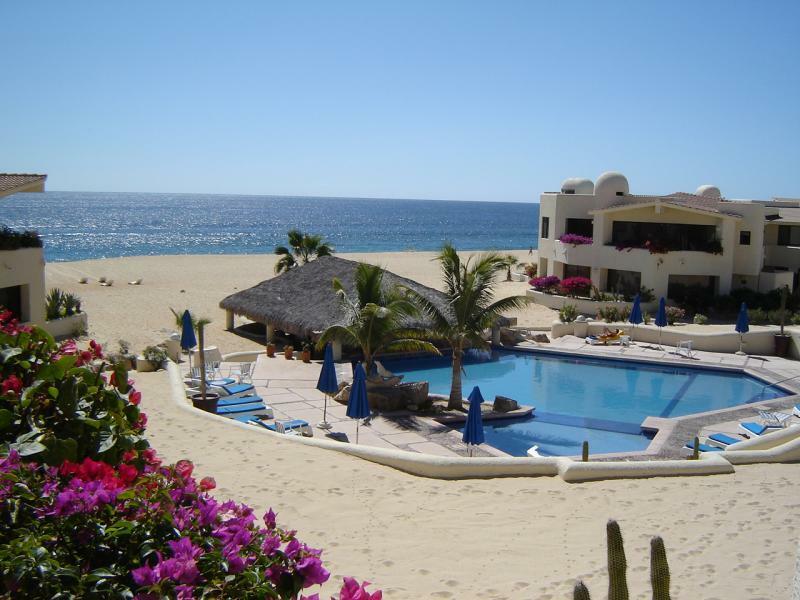 Because it is so long and skinny, the entire Baja peninsula is considered to be in the "restricted" zone and the Mexican bank trust (fideicomiso) is required for any non-Mexican acquiring residential property. The Fideicomiso is the instrument or vehicle used by government to exercise its discretionary power permitting foreigners to acquire ownership rights to real estate property within the "restricted areas" of Mexico, granting the Trustee (a Mexican bank), legal title to the property for a determined period of time. As Trustee, the Mexican bank acts on behalf of the foreign Beneficiary in any and all transactions involving the property held in Fideicomiso. However, the Beneficiary retains the use and control of the property and makes the investment decisions regarding it. The Beneficiary has the right to use, improve, lease without limitation, sell without restrictions and to pass the property to named heirs. In essence the Beneficiary has the same absolute rights to use, benefit and enjoy the property as if it were in fee simple (direct) ownership. This was published and became law o December 28, 1993, and has brought genuine enthusiasm throughout the world concerning Mexico's investment opportunities. The law has been a major step toward bringing ownership of Mexican real estate in line with other industrialized countries. It allows fee simple (direct) ownership of non-residential properties in the country's restricted areas, provided that such property is 1) owned by a Mexican corporation; and 2) that it is for non-residential purposes. The law also extended the duration of the Fideicomiso term for residential properties from 30 to 50 years, with a renewal upon request by the party having an interest in the property. A 100% foreign-owned Mexican company may directly acquire property within the restricted zone, providing it is to be used for non-residential activities. In other words, the usage must be industrial or commercial, in order to qualify as non-residential. The definition of an "Escrow" is the method of closing a real estate transaction in wich an impartial third party is authorized to keep or safeguard a certain item, generally money, while supervising the fulfillment of specific instructions. Upon satisfaction of said instructions, the Escrow entity delivers the escrowed item to the designated Beneficiary. A Title Search or title investigation involves an examination of the recorded documents on a partcular property. It is extremely important for a buyer to know the true condition of the title before making an important investment decision. A policy or title insurance is a contract with an insurance company in wich it agrees to indemnify (compensate or reimburse) the insured against a loss sustained as a result of defects in the title, other than those outlined as exceptions. The title policy may insure the owner, a lender, a mortgage holder, a holder of any interest, as indicated by the buyer of the policy. The title insurance company agrees to defend, as its expense, any lawsuite affecting tittle which is based upon defects insured in the title policy.